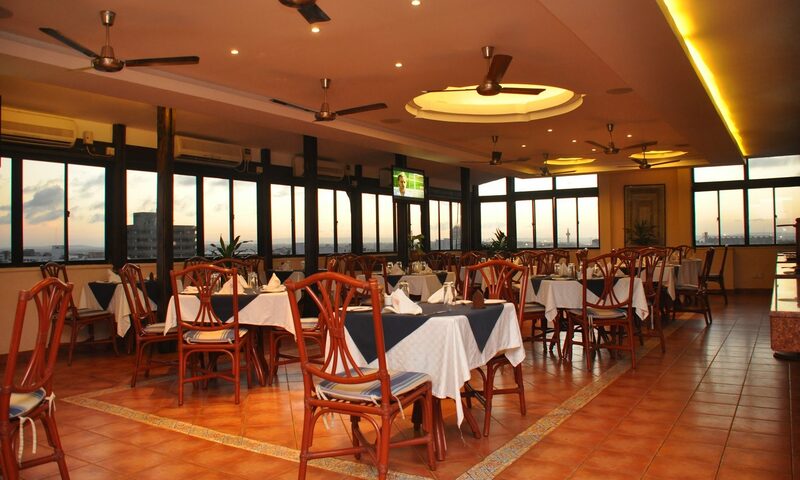 Indulge yourself at the fully air-conditioned Rooftop Restaurant with a view only matched by the fare served. Please your palate with a lavish array of well-presented continental (predominantly Italian), African and Indian dishes from the open view kitchen everyday of the week. All this in the relaxed ambience already created by the swimming pool bar and seamlessly carried on by the white and blue table linen combinations. We have an independent unit to take care of your catering needs in the comfort of your own backyard or office.